You'll never shoot another photograph in auto-mode again! Learn how to shoot great photos! This video will change the way you use your camera! Understanding the zone system is essential for capturing great photos. Ones' that look the way you always wanted. If you just leave metering to the camera, your photos will look dull and flat. Start getting your exposures right and your photographs will be crisp and full of detail and depth. Become a better photographer... a much better photographer, in just over an hour! You can even use your cameras built in meter. Tim makes it so easy, you'll laugh. The Author Tim Cooper began his career as a commercial and assignment photographer working with clients such as The North Face, Vasque boots, 3M and The International Heart Institute. His editorial and commercial photographs have appeared in Travel & Leisure, New York Times Magazine, Outdoor Photographer, Fly Rod & Reel, Northern Lights and Private Clubs as covers, advertising, art and editorial illustration. In addition to commercial work, Tim has also been involved with the Rocky Mountain School of Photography since 1993. He has taught workshops, classes, seminars, as well as held the position of Director of Education, Director of the Black and White Program and Director of Digital Imaging. Tim currently teaches various workshops, classes and seminars for the school in addition to consulting on both photographic and digital technologies. Tim is co-author of the book Complete PhotoshopCS3 for Digital Photographers. Tim Cooper has been travelling all over the nation for several years, helping thousands of photographers hone their craft. A huge crowd favorite has always been his sessions on the Zone System for Digital Photographers. For the first time ever, Tim sat down in his studio and captured the magic on this video. As you watch, Tims' plain English style will cause you to understand light and exposure. Tim Cooper began his career as a commercial and assignment photographer working with clients such as The North Face, Vasque boots, 3M and The International Heart Institute. His editorial and commercial photographs have appeared in Travel & Leisure, New York Times Magazine, Outdoor Photographer, Fly Rod & Reel, Northern Lights and Private Clubs as covers, advertising, art and editorial illustration. In addition to commercial work, Tim has also been involved with the Rocky Mountain School of Photography since 1993. He has taught workshops, classes, seminars, as well as held the position of Director of Education, Director of the Black and White Program and Director of Digital Imaging. 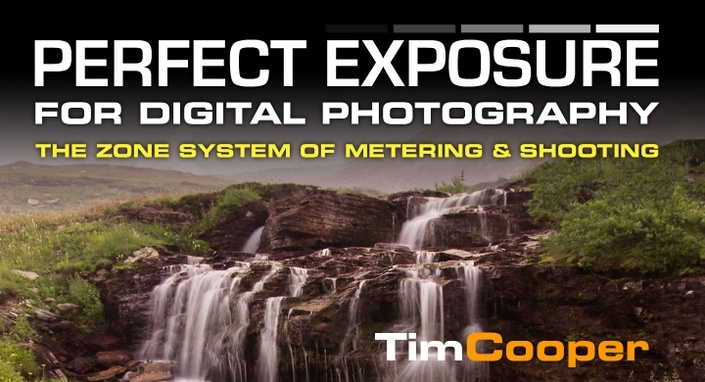 Tim currently teaches various workshops, classes and seminars for the school in addition to consulting on both photographic and digital technologies. Tim is co-author of the book Complete PhotoshopCS3 for Digital Photographers.